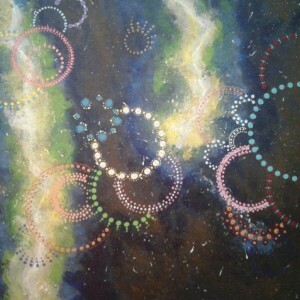 This 16x20 acrylic painting on stretched canvas features a green supernova/space scene. 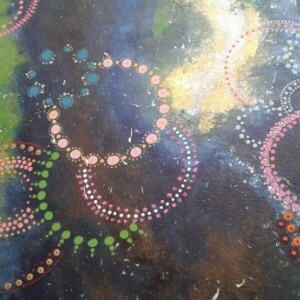 Over the galaxy, you will see several dotted mandala-like designs. 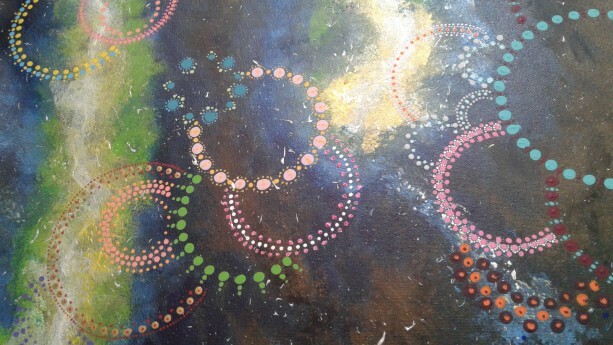 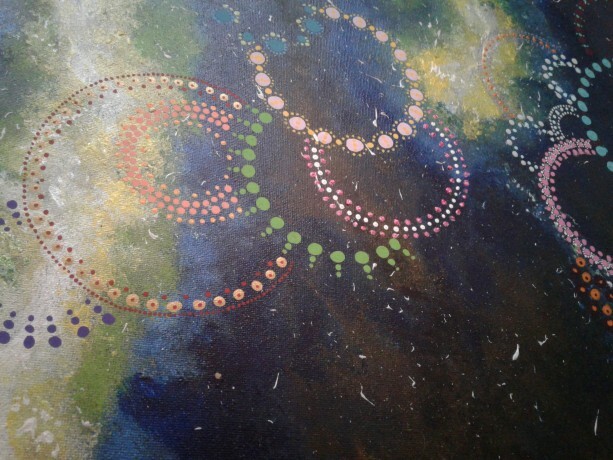 These bright, colorful, circle designs look almost like fireworks right in the middle of space! 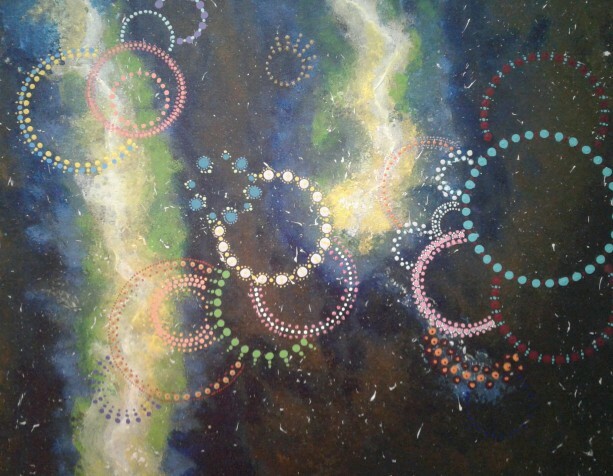 This painting features several vibrant colors, as well as plenty of small details to catch your eye differently each time you take a look at it. 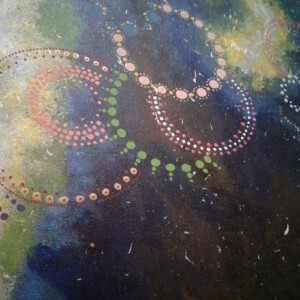 This painting spills onto the edges of the canvas, leaving it finished and ready for you to hang.